Netflix has a new comedy in store. 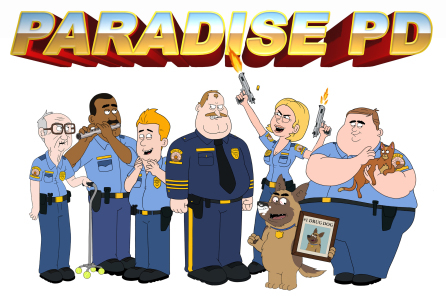 Deadline reports the streaming service has ordered a new TV show called Paradise, PD. From the creators of Brickleberry, the animated comedy follows a force of unqualified, small-town police officers. The voice cast includes Tom Kenny, Sarah Chalke, Cedric Yarbrough, Dave Herman, and Kyle Kinane. Netflix has ordered 10 episodes of Paradise, PD. A premiere date has not yet been announced. What do you think? Are you a fan of Brickleberry? Will you watch Paradise, PD? More about: Netflix TV shows: canceled or renewed?, Paradise PD, Paradise PD: canceled or renewed? It’s the same as brickleberry, so unoriginal. I Loved Brickleberry! These characters look almost the same!